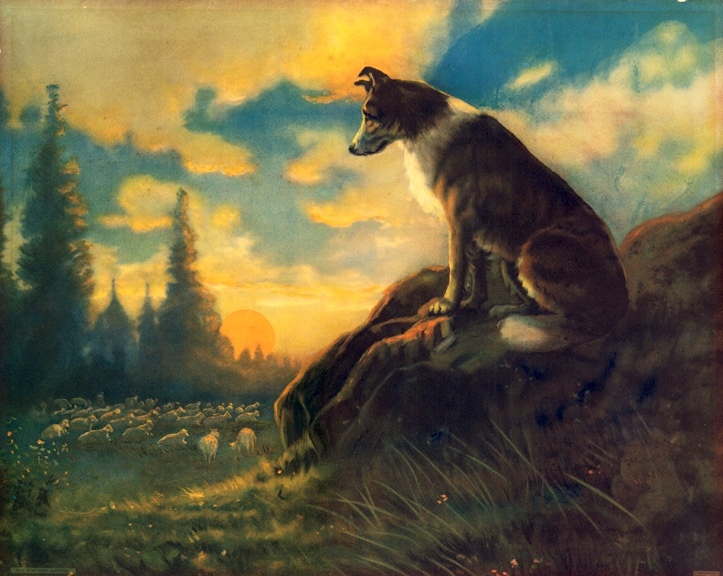 You see it is a simple picture, perhaps from the early 1920’s of a sheepdog, perched upon a rock formation intently monitoring a flock of sheep, perhaps forty or so in number, in the dell below. The sheep are intently gazing to the north, the setting sun falling behind the outcropping of trees in the distance. It is a picture by R.A. Fox entitled “A Reliable Guardian.” So, why would a picture like this affect me so? I loved seminary, yet one thing it often fails to identify is that the sheep in the Kingdom are a very specialized hybrid-highly intelligent, at times carnivorous, and have an incredible desire to exercise their free wills. I have been lied to, lied about, maligned, ignored, gossiped about, slandered, and threatened, and that’s on a good day; what pastor hasn’t? Moses dealt with this. In Exodus, he is advocating for the sheep who God is desiring to terminate. Yet, only chapters he is crying out to the Lord to deliver him from the stiff-necked people.